In a push to restrict the practice of fake doctors and fake prescriptions in Andhra Pradesh, the government has rolled out a project named The Comprehensive Drug Monitoring System (CDMS). According to the newly launched Digital-based initiative, the AP Govt will fully regulate the sale of medicines in the state. Sale of Medicines and other pharmaceutical drugs to be carried out digitally. With the digitization in the medical field, the handwritten prescription from a doctor is no longer legal at pharmacies in the state. The sale of medicines should be carried out only through digital prescriptions. As per the launched CDMS, a person has to carry a valid ID proof for buying medicines. He or She will not be given medicines if failed to produce a valid ID card. Andhra Pradesh becomes the first state in the country to introduce a Drug Monitoring System, thereby setting a new benchmark for all the other states. The Comprehensive Drug Monitoring System (CDMS) is a software that has been developed at the cost of Rs 1.2 crore. All the registered doctors, chemists in the state would be integrated with the CDMS. How Comprehensive Drug Monitoring System CDMS work? After examining the patient, the doctor will upload details of the patient on the CDMS app, along with the diagnosis report. 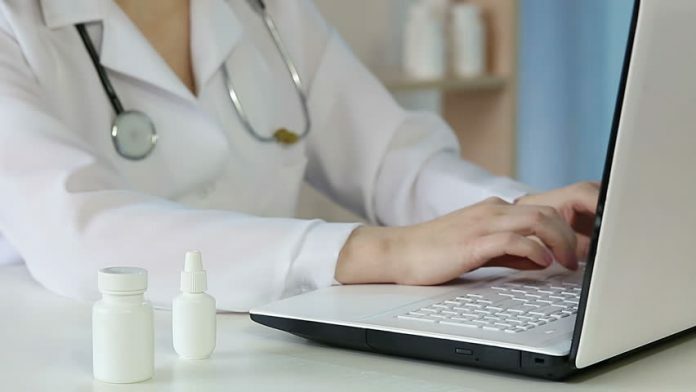 Doctors would enlist the medicine prescription, choice of brand names attached with a digital signature.Only such prescription with the digital sign of the doctor will be accountable at the pharmacy. The patient would be provided with a one-time password OTP, which needs to be shown while purchasing the medicine. If the patient doesn’t have a mobile phone, his or her Aadhaar card shall be used for verifying patient’s identity. This new ID Proof Based Medicine Sale rule will be exempted In the case of deep rural and tribal areas where Internet connectivity is low. Everyone should note that any valid ID can be used to purchase medicines. On the Government’s perspective this digital initiative may be fruitful, but we have to wait and see whether it is beneficial to common people in any manner.